CertifyMe forklift training is designed to help your entire powered industrial truck fleet perform more efficiently, but – more importantly – safer. When your forklift drivers are up-to-date with the latest OSHA training guidelines (defined in OSHA specification 29 CFR 1910.178(l)(3)(ii)), you’ll not only gain more peace of mind and a more motivated workforce, but you’ll also benefit from what you won’t encounter: heavy OSHA fines. OSHA violations and fines are always updated each calendar year, and they increase every time. OSHA fines for 2018 – which we’ll look at in a minute – are no different. These penalties encourage employers and employees to have the most up-to-date OSHA compliant forklift training. If someone uses equipment that’s not qualified, OSHA fines for forklift violations will kick in – and as a result, a company or individual forklift driver can face financial penalties, legal action, and more! That’s why getting your forklift license with CertifyMe.net makes sense – our training packages allow anyone (from inexperienced drivers to veteran forklift operators) to become OSHA compliant, gain better safety awareness, and also avoid OSHA violations, fines, and other negative impact associated with non-compliance. OSHA violations and fines include some of the steepest financial penalties for workplace safety accidents. And as of 2016, those amounts grew considerably. Let’s look at the most recent OSHA fines list and what you can do to avoid these ultra-serious penalties. As a result, the new OSHA penalty structure increased fines, just like they’ve done in some previous years. Keep in mind, the cost for OSHA violations and fines hadn’t been increased since 1990. For serious violations, the fine is now $12,934 (up from last year by a few hundred dollars). Willful or repeated violations are now $129,336 (up about $5,000 from 2016). Those figures were taken from the 2018 announcement, but recent legislative changes always open the door for more increases throughout the year. OSHA violations and fines are always subject to immediate increase, depending on how many violations OSHA investigates in a given year. The good news is: forklift accidents are slightly down from previous years, but forklift drivers and employers should know that OSHA fines for forklift violations can change at a moment’s notice – yet another reason to sign up with CertifyMe.net, your #1 training partner for OSHA compliance! 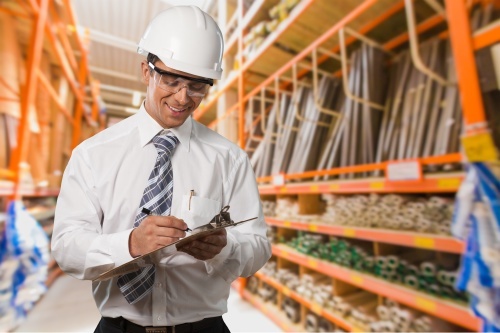 If you’re in charge of your organization’s safety program, or if you’re involved with job site supervision in any way, there are a few things you can do to avoid OSHA fines. Stay up to date with forklift training. OSHA’s safety guidelines are constantly being updated and tweaked to account for federal legislation, local safety initiatives, and many other reasons. If you’d like to be safe from OSHA violations, fines, and other negative outcomes, CertifyMe has a proven program in place – just 5 easy steps and you’re good to go! Get renewal training. Forklift training is good for 3 years. Afterwards, you’ll need to re-certify your lift operators. Thankfully, CertifyMe provides free lifetime renewals! Stay Away From OSHA Violations & Fines – Sign Up with CertifyMe.net Today! CertifyMe.net the training you need to become OSHA complaint in no time at all. If you need to operate a forklift, you’ll need training. Our training courses cover everything you need to know. Our courses include Warehouse Lifts, Pallet Jacks & Order Picker Training, Rough Terrain Forklifts, and Trainer / Evaluator Certification. Sign up today! OSHA fines can literally cripple your entire business. In order to avoid OSHA violations, fines and penalties, let CertifyMe help train your workforce. Contact us today, and we’ll help you get started!